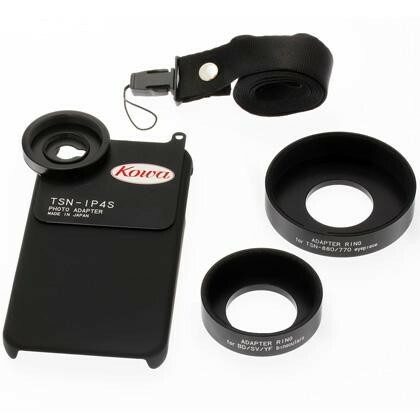 The Kowa Photo Adapter for iPhone 5 includes adapter rings for BD42/32, SV series, YF series and for the TE-10Z and TE-17W eyepieces. Simply snap your iPhone into the cradle and connect the eyepiece/ocular attachment corresponding with the diameter of your optics. With this Photo Adapter, you can instantly photograph, record, and share your view of that elusive bird, butterfly, or beast.